On August 26 Cal Maritime received and installed a massive 18-ton, 18-ft wide brass ship’s propeller which for many years was a landmark of San Francisco’s downtown business district. For several decades, the entrance to the San Francisco office building at 100 Spear Street has been graced by an eye-catching display … a highly-polished brass ship propeller. This 18-ton piece of “commercial art” was a natural, as the building was home to many offices of ocean carriers serving the West Coast. With industry consolidation, the number of maritime-related offices in the building dwindled. On August 26, Cal Maritime will receive and install a massive 18-ton, 18 ft wide brass ship’s propeller which for many years was a landmark of San Francisco’s downtown business district. 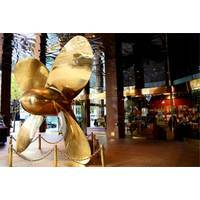 For several decades, the entrance to the San Francisco office building at 100 Spear Street has been graced by an eye-catching display…..a highly-polished brass ship propeller. This 18-ton piece of “commercial art” was a natural, as the building was home to many offices of ocean carriers serving the West Coast. 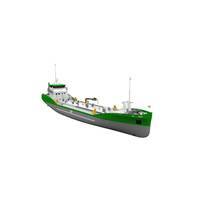 With industry consolidation, the number of maritime-related offices in the building dwindled.